Downplaying reports of scuffles between Indian and Chinese troops during People’s Liberation Army troops’ transgression into Arunachal Pradesh, China on Thursday said it was committed to peace and tranquility at the border areas. “We have noted that the Indian official has clarified the situation saying that there is no transgression as reported in the media,” Foreign Ministry spokesman Lu Kang told reporters in Beijing on Thursday replying to a question on reports of scuffles between the two forces. “China’s position on the East part of the border line is clear,” he said in apparent reference to China’s claims over Arunachal Pradesh as part of Southern Tibet. “As I said it was a regular patrol by Chinese border troops and China is committed to the peace and tranquility of the border area,” he said. In his comments on the border transgression by over 200 Chinese troops into Arunachal Pradesh on June 9, Lu on Wednesday said that China and India border has not yet been demarcated. “It is learnt that China’s border troops were conducting normal patrols on the Chinese side of the LAC (Line of Actual Control),” Lu said. The big contingent of PLA soldiers stayed in the area for few hours and left for their base, the reports said. On the issue of incursions, China has been maintaining the same stand whenever its troops crossed into the Indian side of the LAC stating that both countries have difference perception about it. The LAC covers the 3,488 km long border. 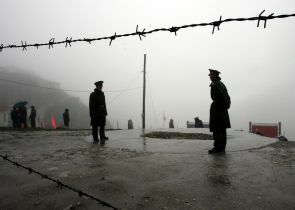 While China says that the boundary dispute is confined to 2,000 km, mainly in Arunachal Pradesh, India asserts that the dispute covers the whole of the LAC including the Aksai Chin occupied by China during the 1962 war. The two countries have so far held 19 rounds of boundary talks by Special Representatives. The incursion into Arunachal Pradesh came at a time when China is opposing India's entry into the Nuclear Suppliers Group on the ground that India has not signed the Nuclear Non-Proliferation Treaty. Passing of GST now only a matter of time? Bale to make way for Hazard at Real next season?